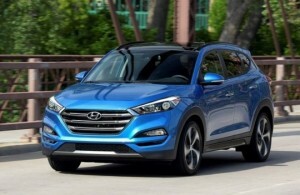 Hyundai’s widely successful Tucson crossover vehicle has been fully redesigned roughly two years ago. The compact crossover vehicle gained a whole new exterior and interior styling, as well as vastly improved drivetrain technologies. It seems like all the Tucson changes and improvements have been well accepted with the customers around the world as the model’s sales have been on a steady rise ever since its official launch. With that in mind, there are more and more people wanting to get their hands on the 2018 Tucson crossover, so let’s have a look at what changes to expect. Don’t expect the 2018 Hyundai Tucson to be released in the U.S. market any time soon, though. The best bet to see the compact Hyundai crossover arriving at your local dealership is towards the second half of the year. When the model does hit the U.S. Hyundai dealerships, there will, for sure, be no major changes done to it. The Tucson 2018 MY (Model Year) will come with pretty much the same specifications as the current model. There may be some minor changes and improvements made to the existing trim levels and the automaker may also introduce some new exterior color options. There’s some talk that Hyundai could expand the model’s engine range by adding a more potent 245-horsepower 2,0L turbo unit to the range (US market only). Please note: the information posted above is highly speculative and has yet to be confirmed by Hyundai Motor America. We are all very excited about the Hyundai Tucson crossover, so we will keep this news post updated. Make sure you come back and check for 2018 Hyundai Tucson news and information. Stay tuned!